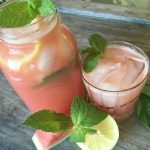 This watermelon mint lemonade is super easy to make and super refreshing during those hot summer months! The great thing about this recipe is that you can totally play with the flavor combinations to get that perfect flavor for you. 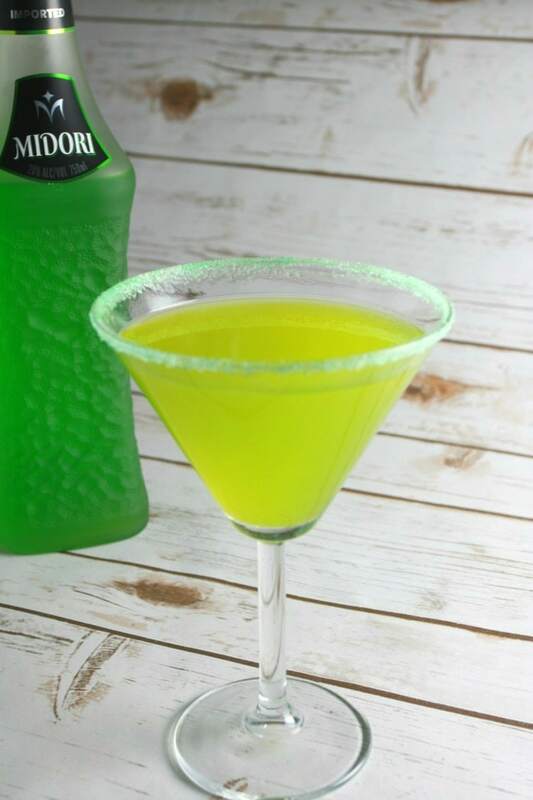 The watermelon adds a lot of sweetness, so you might not want to sweeten it much more. 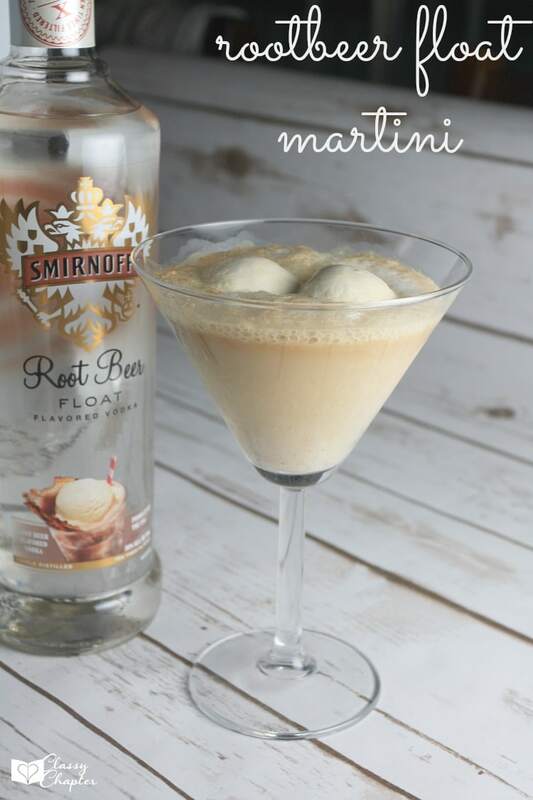 Make sure you taste it before adding any additional sweetener. One thing I like to do when I’m serving this lemonade on a hot day is to make some extra and freeze into ice cubes. Not only to the ice cubes look super pretty but it won’t water down your drink. 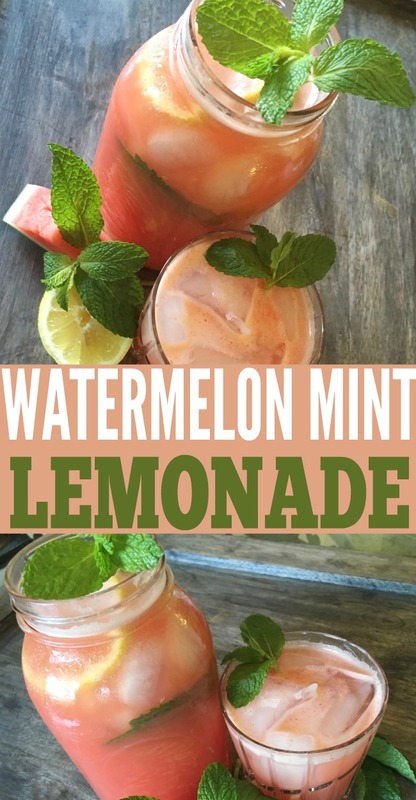 If you want to make this an adult watermelon drink, add in some citrus-flavored vodka. 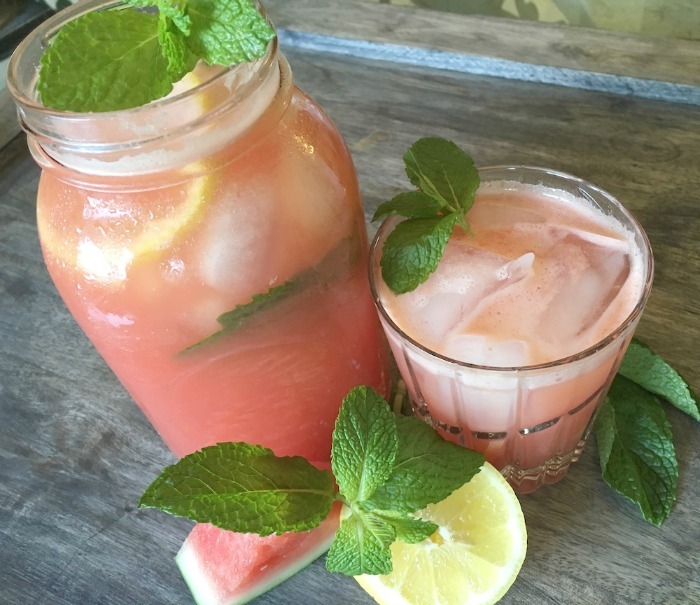 If you enjoyed this watermelon mint lemonade, make sure to check out some of my other posts!